Since our premise is all-day play, our Campers participate in pack play. 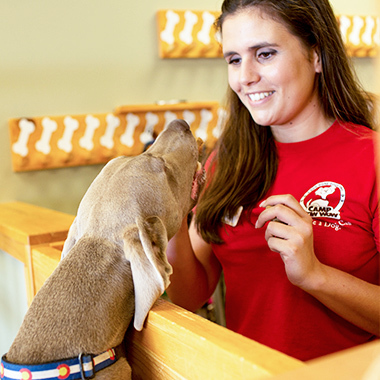 The Interview is to ensure that your pup is comfortable with pack play. Just like people, some dogs may take a little bit of time before getting used to new surroundings. The Warm Up Package is the perfect solution to this because it allows your pup time to adjust. The Package includes the Free Interview Day (required) plus 3 Days of Day Care and 1 Bath.